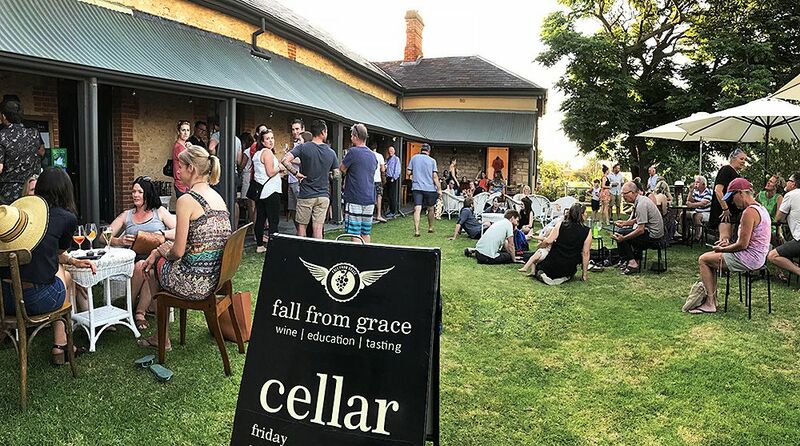 One of our favourite things to do on a Friday night is to call into the ‘fall from grace’ wine shop, run by Gill Gordon-Smith in Aldinga. Gill is one of the most interesting people I have come across in the wine trade, she’s an educator, a wine maker and a retailer. The ‘Wine Communicators of Australia’ must agree with me. 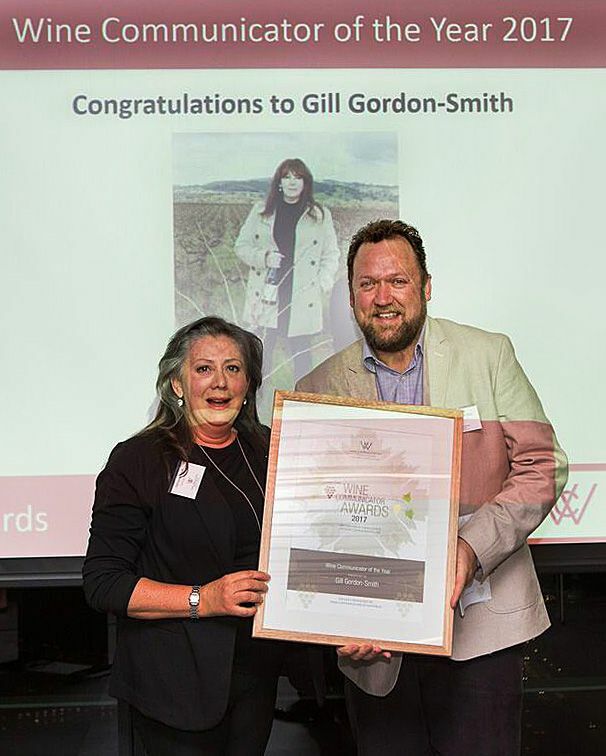 They presented Gill with the 2017 ‘Australian Wine Communicator of the Year’ award in Sydney recently. 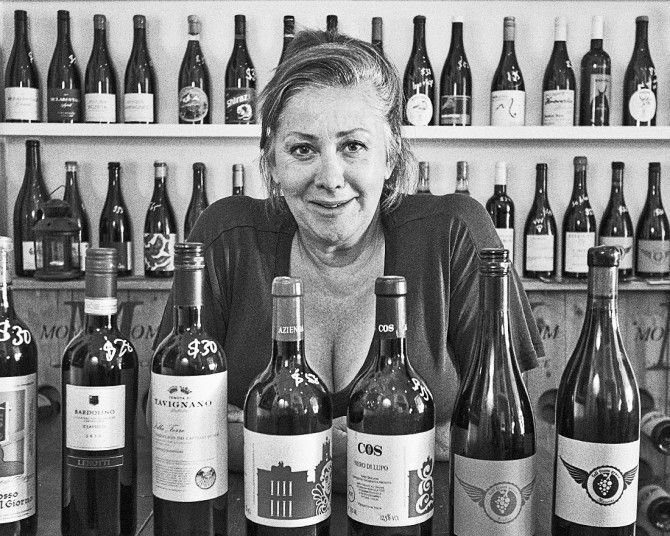 In an earlier life Gill was a ‘hostie’ with Qantas, education is her passion, and she now runs ‘Fall from Grace’ a wine shop/school in Aldinga. I grew up in McLaren Flat. We lived next door to Scarpantoni’s, so I spent lots of time in Mrs Scarpantoni’s kitchen. 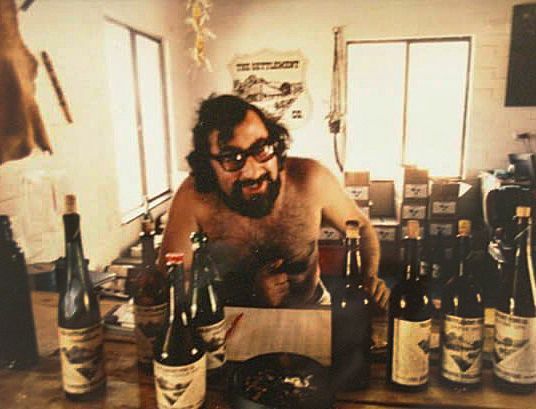 Vincenzo “ Enzo” Berlingieri at the Settlement Winery in the 1970’s. The food was so much better and this was the start of my love affair with all things Italian. My first job in the wine trade was with Vincenzo Berlingeri at Settlement Wines. My mum was Annika and Jasons kindy teacher and I worked at Cellar Door and in the cellar when Alison Hodder was the winemaker up there at Blewitt Springs. Settlement was a big eye opener for me. 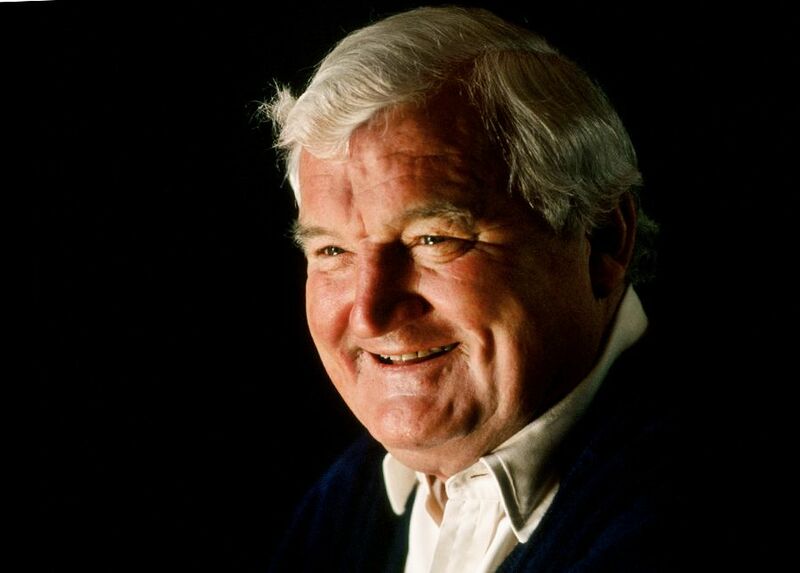 Vincenzo was Vincenzo, he was a larger than life character – he was like the Wolf Blass of McLaren Vale and in those days Settlement wine company was so busy. People loved ‘Doctor David’s Plasma’ port and his late picked Rieslings. Enzo had many parties and it was all about the food and wine. I studied wine marketing at uni and somehow I ended up working for the ‘Hindmarsh Adelaide’ building society in training and development, which started a life-long interest in education. So now I’m putting the wine passion and the education passion together. Your time at Qantas ? In 1988, I applied to be a Qantas ‘hostie’. Everyone said – “you’ll never get in” – but I did and took off to Sydney for a year of training. I was 27, so quite late for a career change in those days. 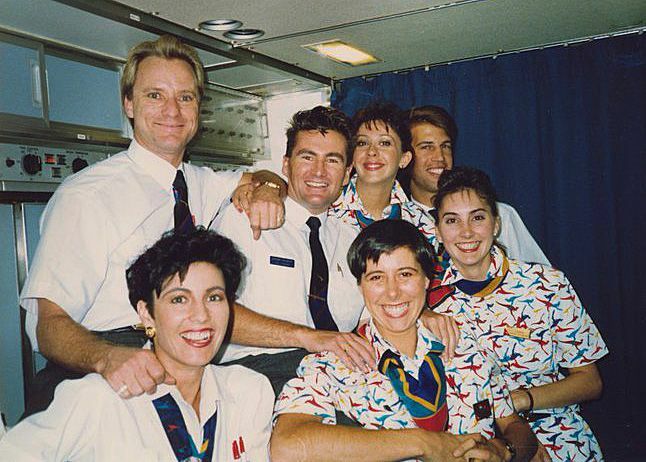 Gill with the Qf1 to London cabin crew in her early days at Qantas. I met a really amazing guy, Jeremy Hudson who was cabin service manager on one of my first flights. Jeremy had also studied wine marketing at Roseworthy. We were in Germany and he said “Come on Gilly, I’ll show you around”. The crew hotel was in Mainz , so close to some of the most wonderful vineyards and we went to the Alsace. That was my first real step into international wines, I fell in love with the region and the wines. I realised there was more to wine than McLaren Vale. Even though I adore Mclaren Vale, and still live here, Jeremy introduced me to different wine styles – I decided to study wine in more depth. 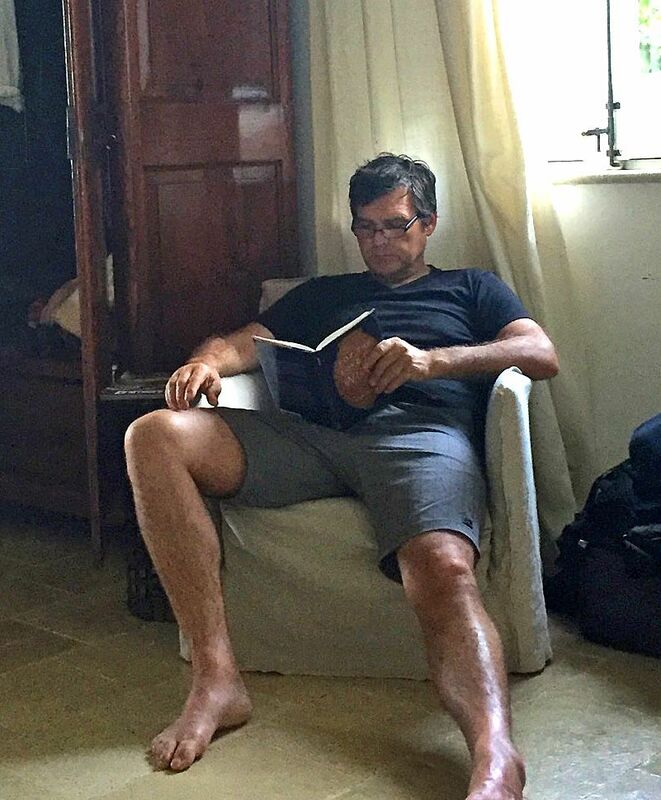 When I was flying I had plenty of time sitting in hotel rooms – so I just studied. I did all of my WSET courses on London trips. 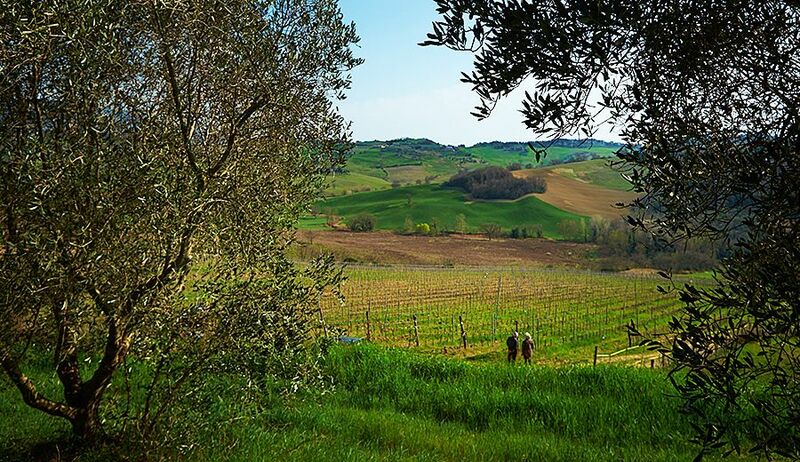 Alison Jane Hodder’s ‘De Vinosalvo wines’ shiraz / sangiovese vineyard in Tuscany, one of Gill’s favorite regions : Photo © Milton Wordey. We had the best trips – I’d do 5 days in London – 5 days in Paris – 5 days in Frankfurt, then Rome …. I called it my Qantas scholarship – because I learnt so much about international wines. Once you go to wine regions, you learn about them – until you physically get there, its all academic. I have been really lucky, all of the things I have done in my life have just kept on pushing me towards wine. When I was flying, Qantas had an amazing wine selection, mainly Australian wines – so I would be running wine tastings in the back of the galley for people on board. If we had McLaren Vale wine on board I would be shamelessly spruiking our region. When did the passion for wine education start ? During my time at Qantas I got involved with a few other people who shared my passion for wine. One of them had been asked to write a wine program for Qantas, he knew a bit about my background both in training and wine marketing and asked if I was interested in getting involved in this new program he was working on. So I joined a team of 4 and we wrote the first Qantas “Sommelier in the Sky” program – that was in 2006. We developed a course that was in three stages; introductory, intermediate and advanced. It was the first of its kind anywhere in the world and we won a really big international award for it. There was myself and three guys and I was the main lecturer. Chris Cormack ,an ex viticulturist from Roseworthy was one of the group, he had studied with Warren Randall. We would also get involved in the tasting panel sessions, started by Len Evans. 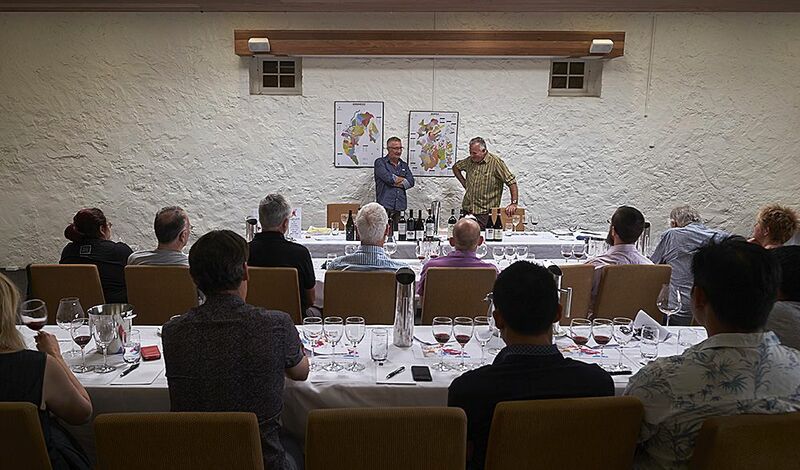 I got to work with Peter Nixon, who at the time was the wine buyer (he’s now with Dan Murphy’s), Claudia Lill and some seriously good winemakers who made up the panel, such as Steve Pannell, Tom Carson and Vanya Cullen. The ‘Sommelier in the Sky’ program was very successful and is still going now. Being involved in developing this program is probably one of my biggest achievements. It’s one I’m really proud of. 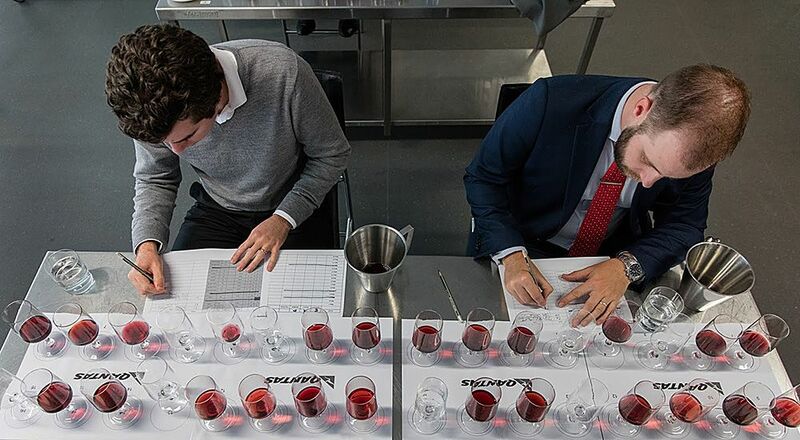 Chief judge Sebastian Crowther on the left, leads the group at the annual Qantas Rockpool Sommeliers tasting. . Qantas is the third-largest purchaser of wine in Australia, behind only Woolworths and Coles, spending over $15 million annually. For the last four and a half years of my flying career I basically flew part time and taught for the rest of the time. We delivered the course in 7 cities, and 4 countries – we did it in restaurants and the staff were so into it that they all came on their days off. 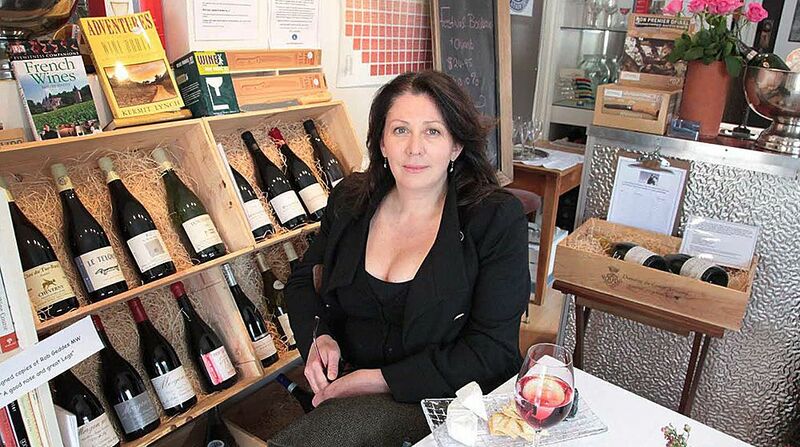 Gill Gordon-Smith in the early days at ‘fall from grace’ in Mclaren Vale : Photo courtesy Kate Elmes, The Independent. I loved flying, but things changed at Qantas, they weren’t flying where I wanted to go and I was tired of having to apologise to people for things not working on the flight. I basically knew my time was up and wanted to leave before I became completely jaded. Wine was taking the front seat in my life. So I came back after a flight to the States, faxed in my application to take a package, and I left. I’m now back where I started, based in McLaren Vale running ‘fall from grace’. I had always wanted to start a wine education and tasting centre where I could sell interesting International wines and showcase different small producers. I jumped with no safety net and it really was a fall from grace, so the name stuck. I haven’t made any money but I’m still here and I love it. I’ve pursued my passion and that is what life is about for me. What plans for the future ? I want to grow ‘fall from grace’ but what I’m really interested in is education. I’m focused on innovative teaching methods and empowering people through having a ‘growth mindset’ where there are no failures, it’s just a step along your journey learning more about what you love. I share all my failures and my successes with my students. Gill’s greatest support and bloody good cellar hand her laid back husband Gary. If a student doesn’t pass an exam, it’s not a failure, it’s an indication of what we need to work on. I’ve been slowly working in the background on quite a few things. I’m concentrating on an idea that hopefully will help the local wine industry across Australia educate consumers and showcase their regions. I’m also spending more time in Italy as a VinItaly ambassador and will bring the VIA Maestro course to Australia soon. I don’t think I’m the sort of person who would ever be able to sit still but sometimes I feel like I’m running out of time. My husband got really sick a few years ago and this changed things for us. He’s ok at the moment, but it forced me to slow down, as he has been my biggest support (as well as a bloody good cellar hand). He’s pretty laid back – luckily. What do people look for in Wine Education ? It depends what stream you’re in. If you’re a professional and want a professional career, we now have some amazing and very passionate young people coming up in Australia now, most can’t afford to do an MW and they don’t have time to get it done either… so there’s a lot of post nominal qualifications and options like the WSET, French wine scholar and many others. Wine Scholar Guild home page. In fact we’ve got a lot of these shorter courses right here. 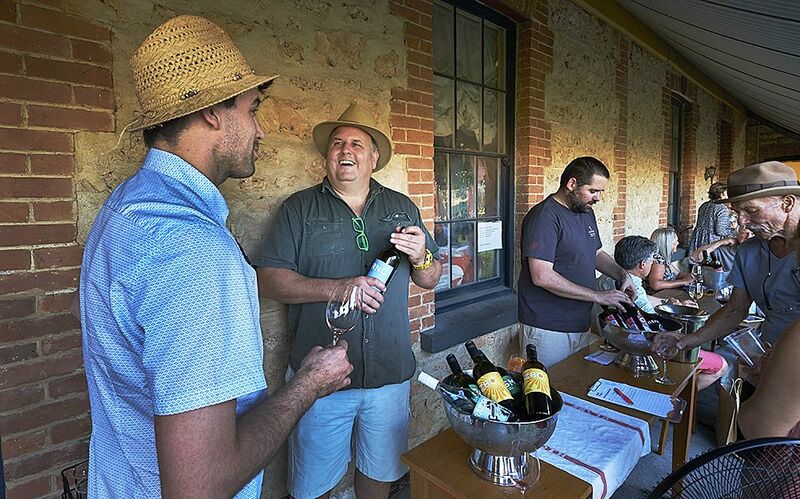 South Australia is a real hub for wine education from University degrees and TAFE to basic appreciation. There’s the really interested consumer, who wants to find out more about wine, how it’s made etc – they might not do anything more with the qualification, but they are just as passionate. 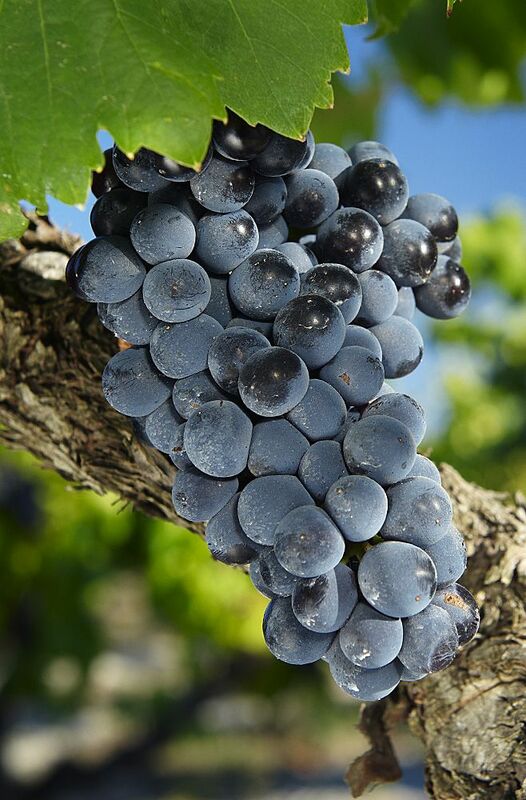 Then you’ve got the average punter who just wants to know little bit more about wine, they don’t want to be embarrassed when talking about grape varieties; they want to be able to look at a wine list and be able to decipher it easily…..they want to know a bit more. My focus has been mostly on professional courses and more in-depth knowledge. I’ve done a lot through TAFE and on my own. I hope to do something with the Uni this year. I’m also planning to do a lot more with the general public. I run a session called ‘Book Club’ which doesn’t involve books and short courses where people can come for an hour or two to learn a little bit about wine, varieties, styles and wine in general. I’ll go anywhere to talk about wine. I really want people to be able to study at any level they want to. Education doesn’t have to be sitting in a classroom – it can be anywhere and take many forms. Wines you like & wines you make ? A few years ago I decided to make some wine … but I come at it from a different angle – not from a trained wine maker perspective but as someone who had tasted widely. I‘ve had twenty odd years of tasting international wines as well as Australian wines and I knew exactly what I wanted to make. Alongside Mclaren Vale icons some of my all time favourite Aussies are Hunter Semillion and Shiraz, Wendouree, Seven Hills, Clare Rieslings, Adelaide Hills Pinots as well as lots of minimal intervention wines. I have a very varied and open minded palate. I chose Italian varieties for a few reasons, the main one, I love the flavours and the textures. I knew that if I rocked up with a Shiraz – we’ve got so many great Australian Shiraz and Cabernets, people would have just said “Not another one….Who are you ?”. We had started to plant these varieties in the Fleurieu and I thought they were really an intelligent response to what was happening with climate change. In 2011/ 12 I decided to make a bit of wine here. I approached Justin at Alpha Box and Dice – he was really great and let me play around. 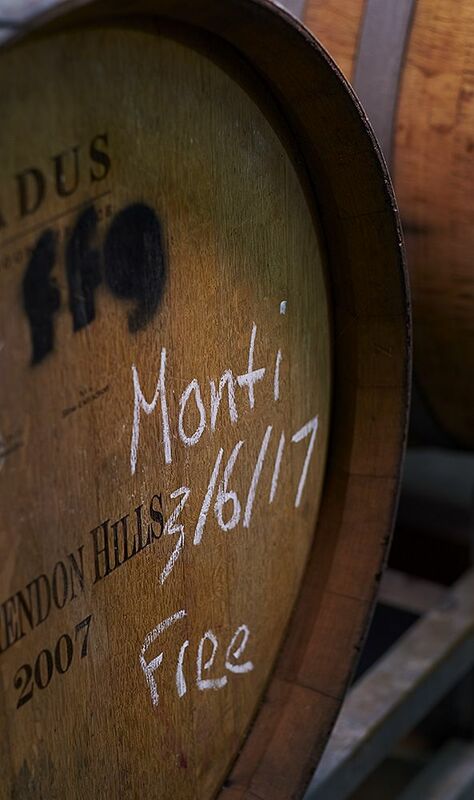 We sourced some Montepulciano from Brad Case at Langhorne creek and I made my first wine…. and yeah I’m a bit embarrassed about it now because it’s pretty ordinary. 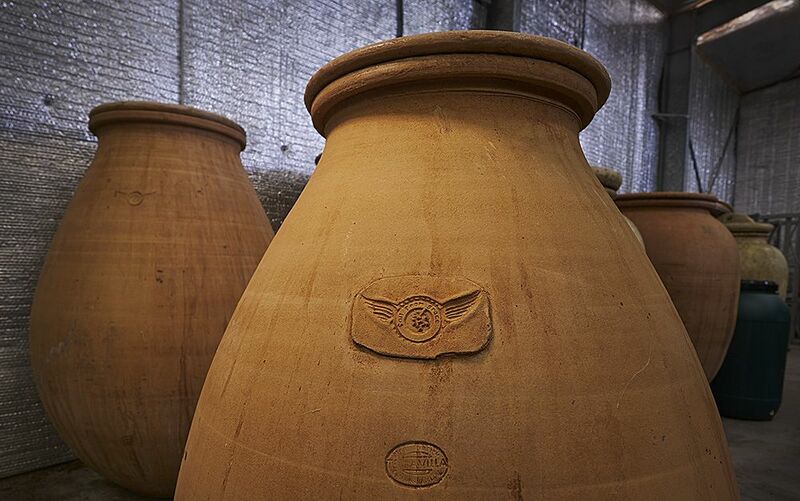 I’d tasted some Georgian wines in London at Vinopolis years ago that intrigued me and then sat next to Isabel Leggeron MW at the AWRI advanced sensory in 2011, she gave me a video on Quevri and I really wanted to make some wine in pots. So we had four ceramic pots made up in the hills and then I made some Montepulciano – really rustic and wild – really pushing the boundaries – probably a bit much – but we sold out. I learnt so much of what not to do. Then I made a skin contact Arneis. I entered that in the Hot 100 and it got in the top ten at number six – that was the 2013 – it was a really cool experience…. 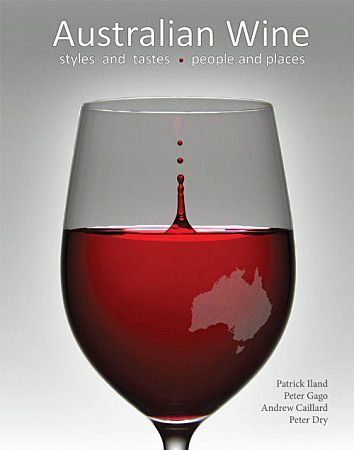 Patrick Iland’s new book ‘Australian-Wine. I just had a feeling that it would work really well. This year will be my seventh vintage – we’ve got a little winery shed that we rent over at Sellicks, just off of Ryan Road and we’ve got everything in there that we need. I rent the shed from one of the growers I work with. Every year I’m getting better, I’m making better decisions and learning more. I don’t have a science background, but I understand what needs to happen and I have great mentors such as Mark Day from Koltz wines who is always brutally honest and I find most wine people are really generous. One of my lecturers at Uni was Patrick Iland, who I adore. I’ve got all of his wine science books and if I didn’t know something I would do my research, ask questions and find an answer. I was really fascinated with Italian varieties with good natural acidity. I could make wine at lower alcohols and I loved those Vin de Soif type wines – they were perfect for me. I’ve been lucky enough to taste so many amazing wines but now-days I love wines that have less artifice and more pure drinkability. A winemaker once said to me “Oh, your wines are village wines – they’re not bad but they’re just village wines”. I was happy – they thought they were insulting me – but that is the wine I wanted to make, minimal intervention. They are village wines – wines that go with food – have lower alcohol – natural acid – wines that you can pick up and enjoy. It’s where I grew up – it’s the place I’m really passionate about. 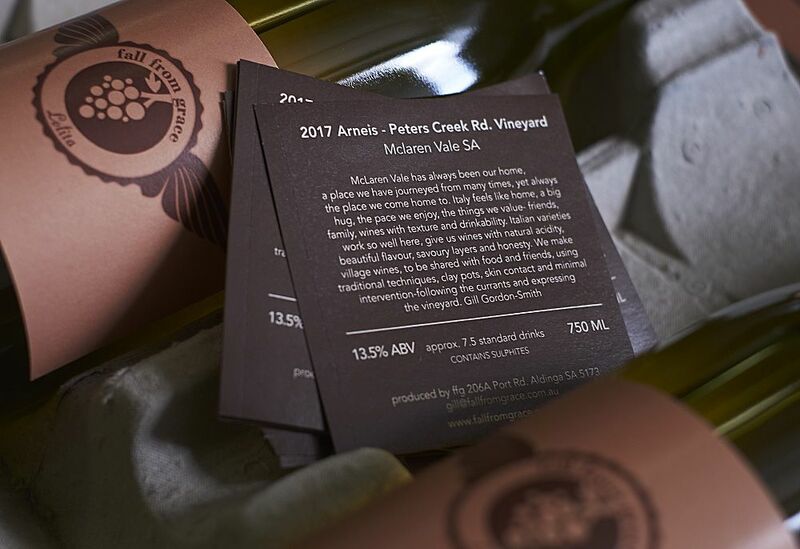 I truly believe we make some of the best wines in Australia here and maybe some of the best wines in the world… like our Grenache. It’s like a warm climate Pinot, I know we bang on about it, but we do it really well. 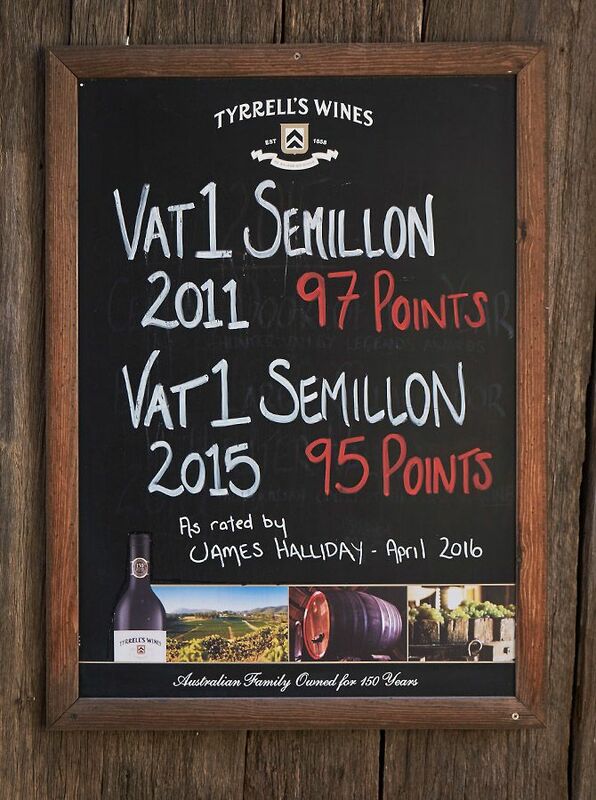 I think McLaren Vale’s wines are generous without being overly opulent and that is what I really like about them. We have got those beautiful sea breezes coming in and we’ve got so many different microclimates. We don’t just make the same Grenache we can make many different Grenache styles and our Shiraz – that’s pretty amazing as well. Its a different style but it reflects the culture and people as well. We’ve got a softness here and we’ve got all these stunning old vines-this beautiful material. Steve Pannell was the one who really started to push Grenache buttons for me and I love James Erskines Jauma Grenaches. 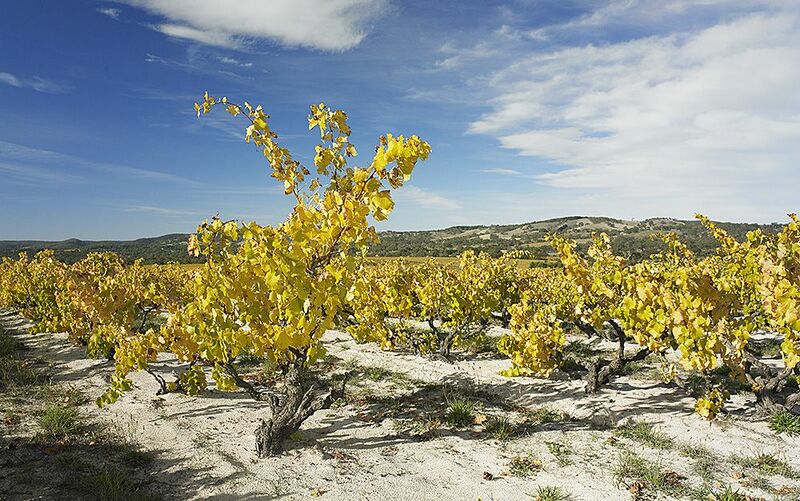 Philip White says it as well…that we are very much like the Minervois in the southern part of France. We have a similar climate and we’ve got those beautiful clear blue skies and those cooling sea breezes. You look at Grenache from the old ‘High Sands’ vineyard at Yangarra – amazing wine and it ages really well. 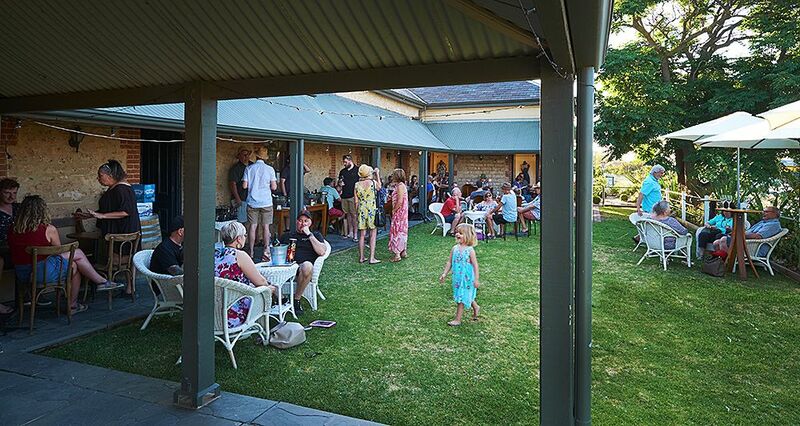 McLaren Vale is my home and I’ll always love it- I’ve got a really strong connection with the Vale .I wouldn’t want to make wine anywhere else – apart from Italy – but I have always been drawn back here. We’ve travelled a lot, but when I drive over that hill at Tatachilla, it still gets me – it makes me think I’m in Tuscany, other parts remind me of Sicily or Sardinia. You know when you come up from Tatachilla road -before you get to Boar’s Rock – you come up the hill and you stop on that top section and you look down and you see that vista, early in the morning… that reminds me of Italy. 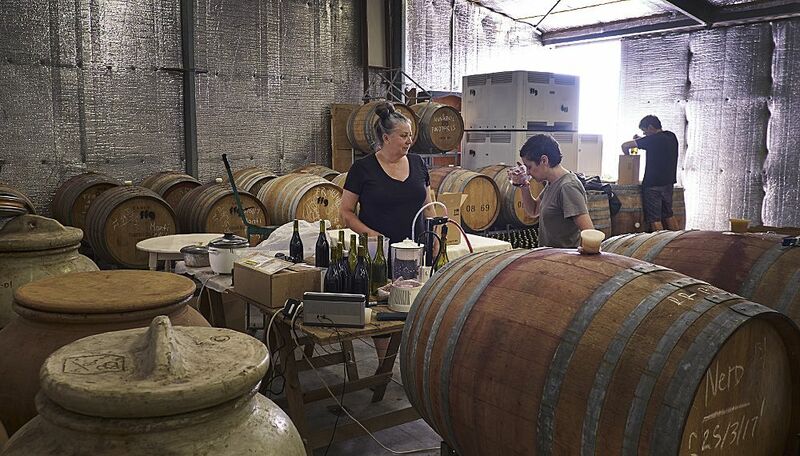 Its also that whole community spirit – the fact that I can ring a winemaker and ask them anything. Its the generosity of the people and we’ve got this nice, fairly laid back lifestyle as well, which I really like. Mclaren Vale and the Italian connection ? When I gave a talk in Italy recently I showed them your photo looking down from Sellicks Hill and I asked – Where are you … where in the world is this picture taken ? and everyone said It’s the Maremma in Tuscany or its Sardinia or its Sicily. I said “we are in McLaren Vale”. They were gob smacked at that photo. I love the whole Italian connection here. 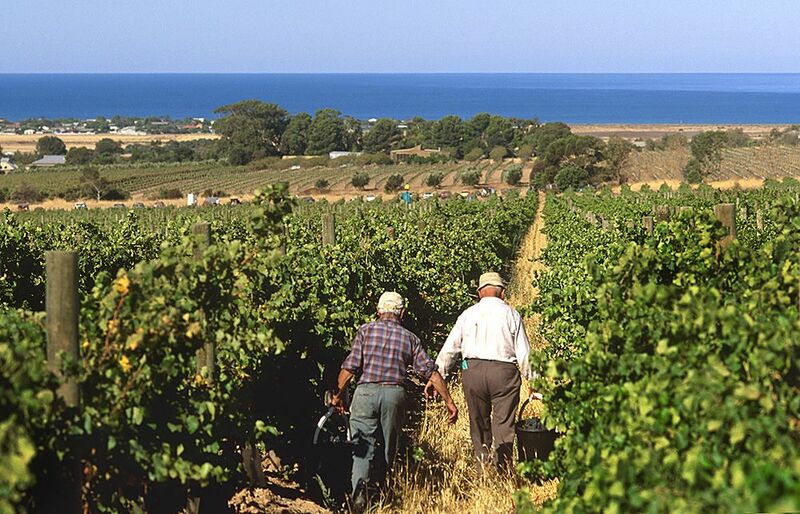 There around 125 families in McLaren Vale whose forefathers were born in Italy and there are about 560 people who are descended from Italians in our region. Gill with Ian D’Agata in Verona, Italy. I love that about the Vale. With my interest in Italian varietals I am doing more study in Italy. A friend Beck Hopkins who works for Mondavi in the US sent me a link apply for a scholar ship with the ‘Vinitaly International Academy’ and I got accepted. 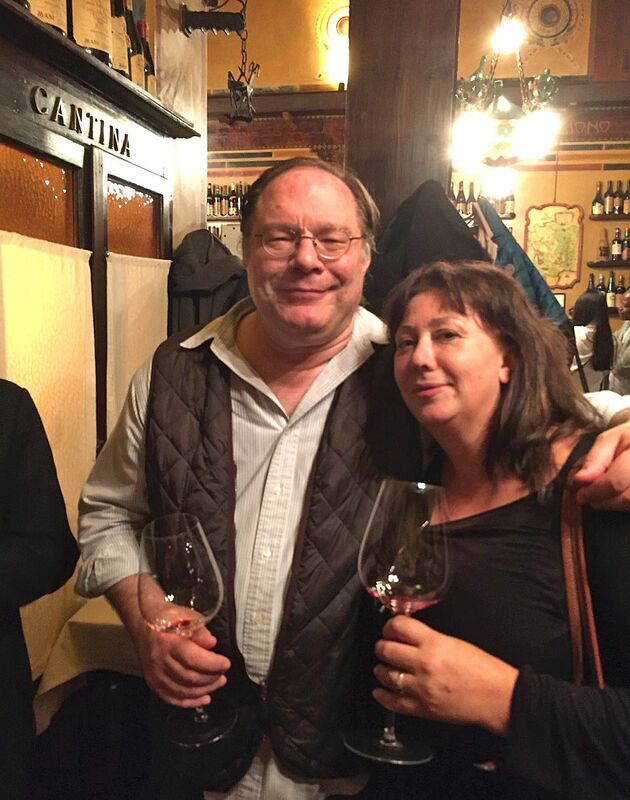 2016 was the first year, I went to Italy for ten days to study with Ian D’Agata who is the world’s foremost authority on native wine-grapes of Italy. I went thinking I knew a little bit about Italian wine – I got there and realised I knew absolutely nothing. I was one mark off of passing, and I was devastated, came home and studied some more, applied again and went back in April 2017 and passed. I was so stoked, there is a 40% pass rate – there are only 3 people in Australia who have passed it and 100 around the world now. My Italian is getting better. They invited me back to talk at ‘Wine2Wine’ a digital marketing conference in Verona in December and I spoke about native wine grapes planted here. All the speakers including Gill at the 2017 ‘wine2wine’ conference in Italy. Last year was a huge year for me, so now I’m studying towards the expert level. 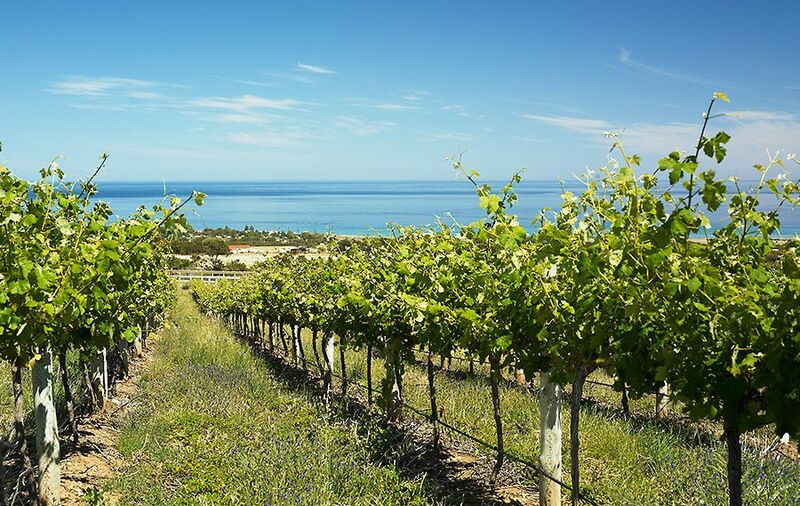 I’m now making, I hope, better wines from Italian varietals in McLaren Vale, I’m learning about what the authentic grapes taste like, this will hopefully make my wines better. “It’s interesting to taste the fruit and then the wine in the place they come from”. I hope my wines taste like Italian varietals from Mclaren Vale. That was a real shock… I was nominated by somebody for the ‘Wine Educator’ category. I don’t like awards, for a whole range of reasons – so many people who deserve recognition miss out or don’t apply or get nominated. I was asked to send in some information so uncomfortably did. I thought I might have a shot at wine educator as I’m passionate about it and actually do a lot of it. Went to Sydney won the award which was really amazing because the other people who had been nominated were Phil Reedman MW and Marcus Patz from the wine society. So that was that I thought and decided to celebrate with a few glasses of fizz and enjoy catching up with people, like Rob Hirst who has been an amazing support over the years. When they presented the main award the WCA ‘Wine Communicator of the Year’ they called me up. Gill receives the 2017 ‘Wine Communicator of the Year’ award from WCA chair Angas Barnes. I had nothing prepared and I was seriously suprised on the night, as I said I don’t really like awards and I thought why me. I could hardly look at that award when I got home. It’s sitting better with me now, I think it’s an award for a body of work, like Qantas, what I do with wine education here, the shop and the stuff I really love, I communicate in a lot of different ways. The thing that I really appreciate, is that the award went to an educator. In past years it’s gone to some exceptional journalists. But it does say to me that education is now being taken more seriously and it acknowledges the multitude of ways we communicate about wine. I think that’s a really positive move and I am looking forward to help choose next years winners. I going out whilst I’m going out whilst on top !